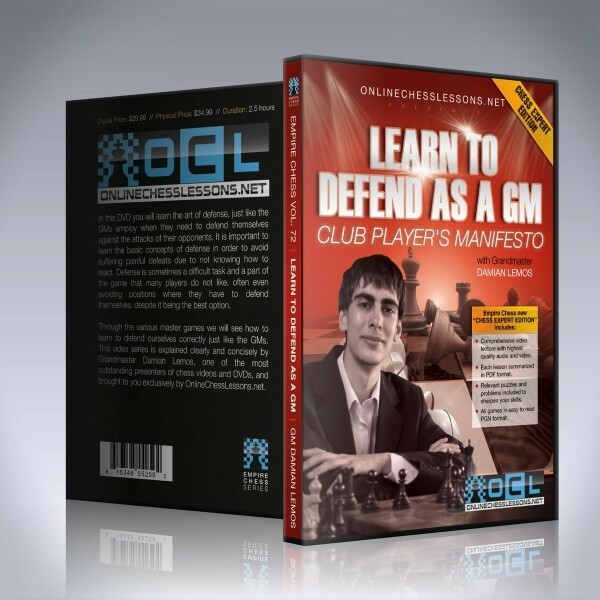 In this volume you will learn the art of defense, just like the GMs employ when they need to defend themselves against the attacks of their opponents. It is important to learn the basic concepts of defense in order to avoid suffering painful defeats due to not knowing how to react. Defense is sometimes a difficult task and a part of the game that many players do not like, often even avoiding positions where they have to defend themselves, despite it being the best option. Through the various master games we will see how to learn to defend ourselves correctly just like the GMs. This video series is explained clearly and concisely by Grandmaster Damian Lemos, one of the most outstanding presenters of chess video instruction. Grandmaster Damian Lemos’ excellent presentation skills will guide you through this volume, the second in the collection of strategy and tactics for advanced players. In this volume you will learn the art of defense, just like the GMs employ when they need to defend themselves against the attacks of their opponents. It is important to learn the basic concepts of defense in order to avoid suffering painful defeats due to not knowing how to react. Defense is sometimes a difficult task and a part of the game that many players do not like, often even avoiding positions where they have to defend themselves, despite it being the best option. Through the various master games we will see how to learn to defend ourselves correctly just like the GMs. 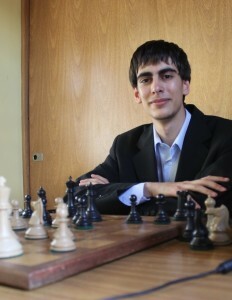 This video series is explained clearly and concisely by Grandmaster Damian Lemos, one of the most outstanding presenters of chess video instruction. Exclusive Grandmaster/Master Video by a brilliant presenter. We preselect only the most compelling and interesting Grandmasters and Masters to make videos for us. In depth text chapter summaries in PDF format of each volume's content to easily reference if you need a quick refresher on a specific topic. 25 relevant and challenging practice problems per disc with solutions so you can test your learning and knowledge.